Zelda at the Oasis was a new play by P.H. Lin, directed by Andy Sandberg and starring Edwin Cahill and Gardner Reed. Performances began on November 16th, 2012 with its official opening night on December 4th, 2012 . 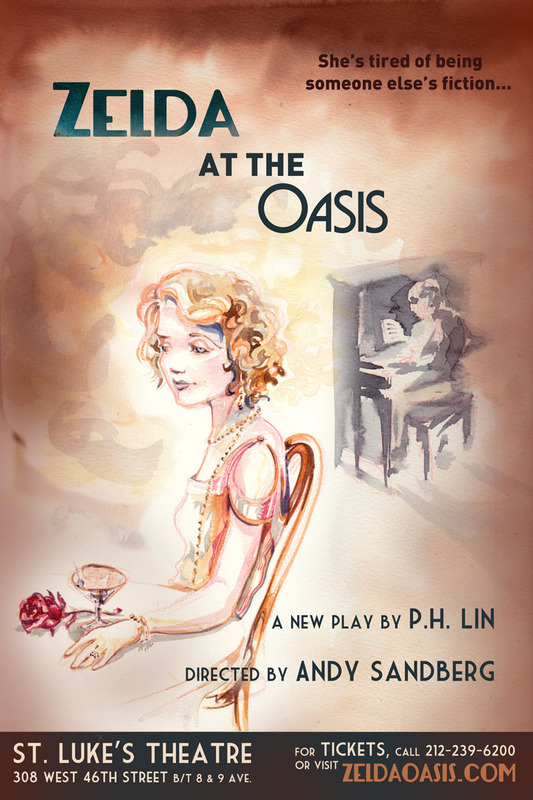 Zelda at the Oasis closed at St Lukes Theatre on February 15, 2013. From the producer of the acclaimed Off Broadway musical The Devil’s Music: The Life & Blues of Bessie Smith comes a new comedy a new comedy by Tom Dudzick about family, faith and adjusting to life’s surprises. 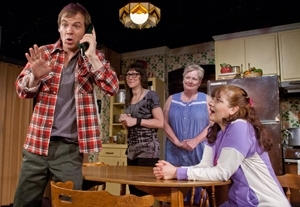 “Miracle on South Division Street” opened at St Lukes Theatre on May 13, 2012 and closed July 29, 2012. 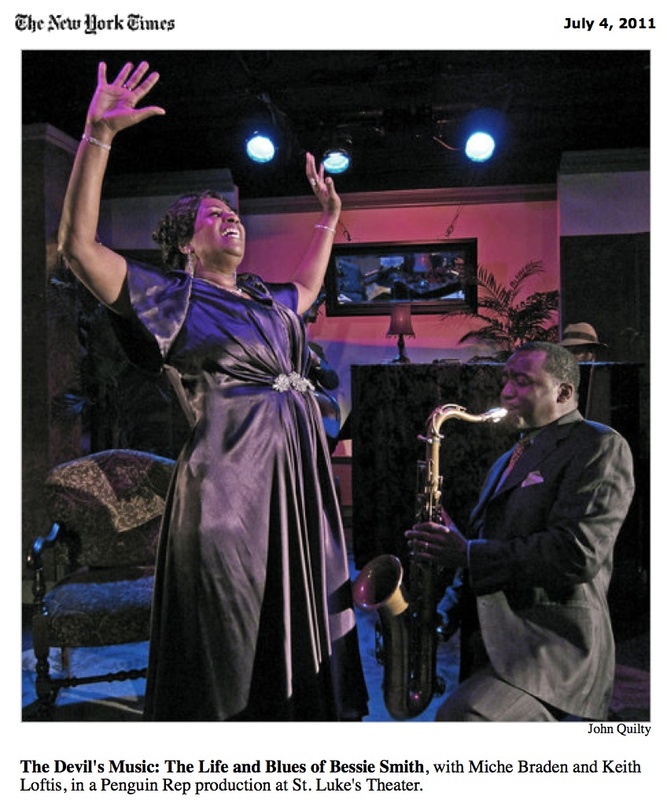 “The Devil’s Music: The Life and Blues of Bessie Smith” made its Off- Broadway Premiere at St. Lukes Theatre on June 22, 2011 ( previews began on June 7, 2011) and closed on July 1, 2012. The incandescent Miche Braden plays iconic blues singer Bessie Smith and performs thrilling renditions of 15 songs associated with one of America’s great divas. 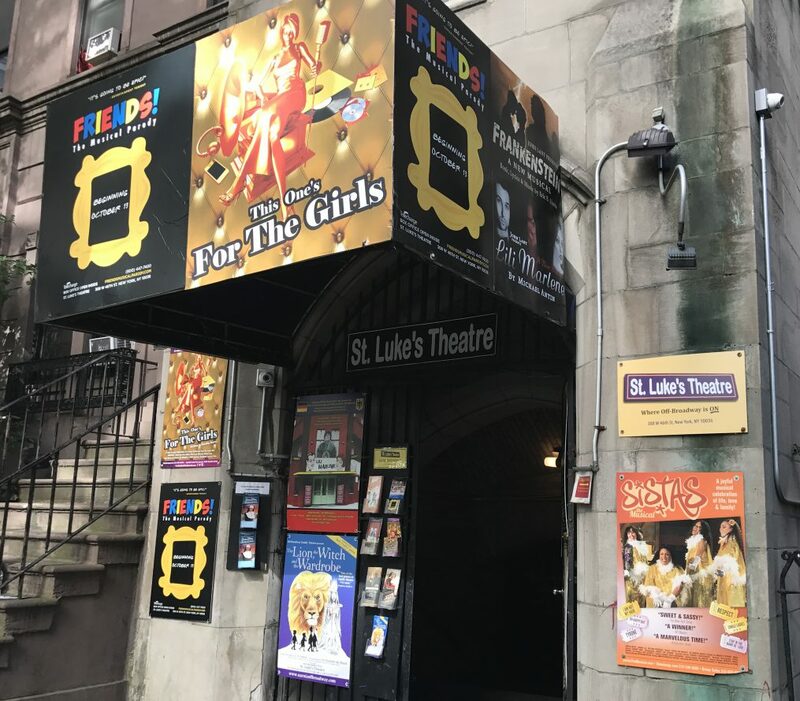 “The popular, versatile comic entertainer Danny Kaye, and his wife, the songwriter Sylvia Fine, are profiled in a delightful off-Broadway musical called “Danny and Sylvia: The Danny Kaye Musical,” now on view at St. Luke’s Theatre. Childers seems tireless as he sings, dances and leaps about the stage, skillfully recreating Kaye’s clownish personality, complete with flamboyant hand motions, zany physical actions and quick wit. He easily executes the crazy accents and impromptu gibberish, as well as the fast-paced lyrics for which Kaye was famous. 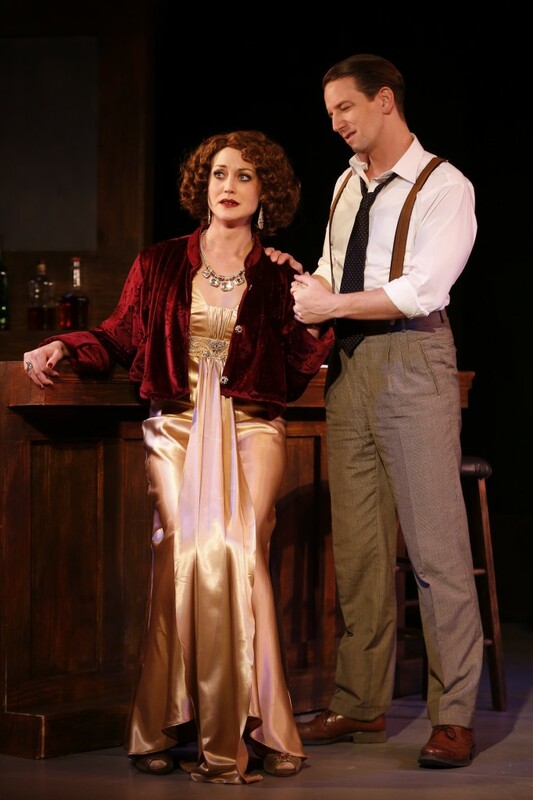 Sylvia is nimbly portrayed by Kimberly Faye Greenberg as loving, yet with a ruthless edge. Greenberg sings beautifully, conveying Fine’s love for the mostly undisciplined Kaye along with her astute, apparently sharklike business aptitude. Somehow director Pamela Hall keeps it all in check and moving along smoothly. “Brian Childers flawlessly achieves the reincarnation of Danny Kaye in his high-energy fluency and physical commitment to the role. He not only captured the character in song and dance, but also used the play’s sporadic narrative to engage the audience and add depth to what we already know about the famous showman. Playing Sylvia Fine, Kaye’s steadfast and loving wife, Kimberly Faye Greenberg shone as the playful yet disciplined backbone to Danny Kaye’s funnyman routines. Fine was also the creator of some of his most renowned material.